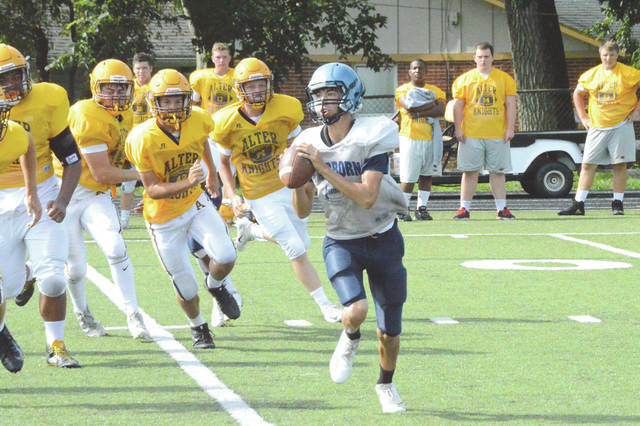 A Fairborn quarterback looks for an open receiver downfield as a wave of Alter Knights follow in pursuit, Aug. 7 in Kettering. Fairborn was involved in a tri-scrimmage with 2017 playoff teams Cincinnati Taft and host Kettering Alter. 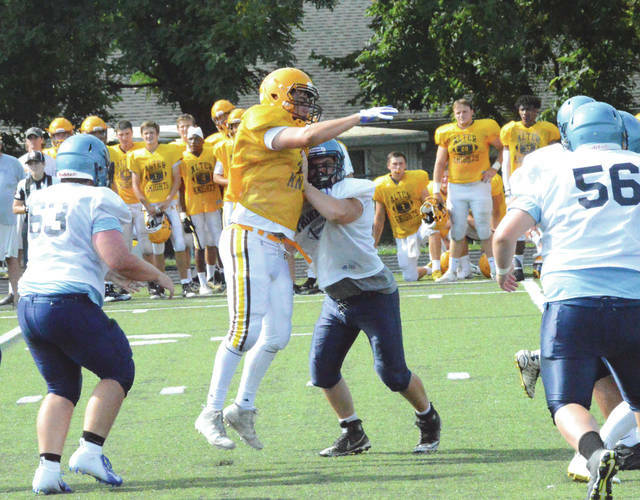 The Skyhawks defense puts pressure on the Alter Knights quarterback, during Tuesday’s Aug. 7 tri-scrimmage in Kettering. A Fairborn tackler loses his helmet after trying to bring down a Taft Senators ball carrier, Aug. 7 during a multiple series of 20-play scrimmage games at Kettering Alter High School. 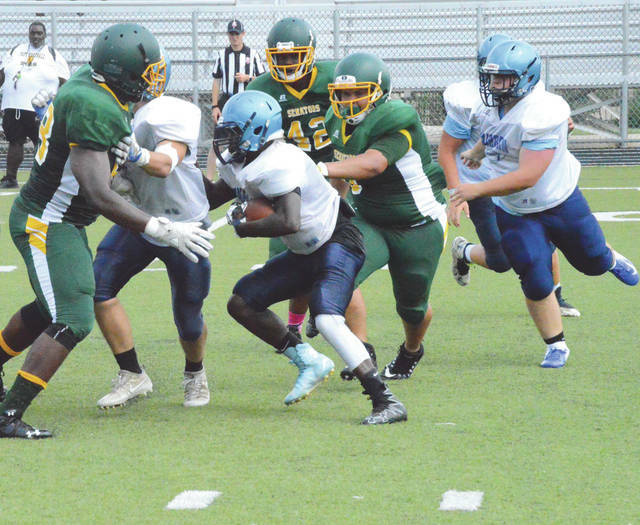 This Fairborn running back found a hole in the Taft defense for a short gain, Aug. 7 at Alter High School in Kettering. Fairborn players stretch and loosen up prior to a series of scrimmage contests with Cincinnati Taft and Kettering Alter High Schools. 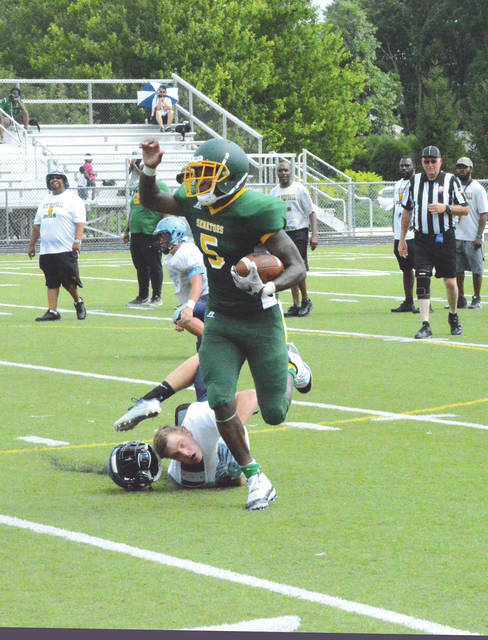 Both Taft and Alter were in the OHSAA football playoffs last season. Fairborn is an up-and-coming program. They were 4-6 a year ago.